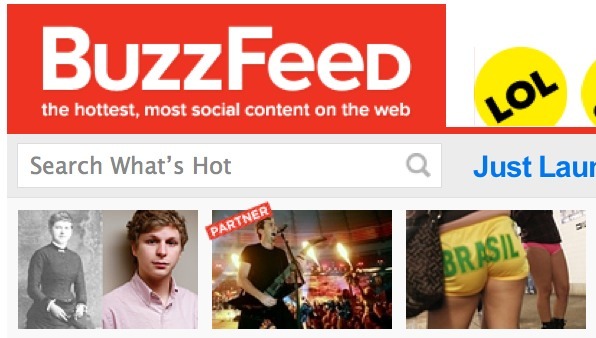 BuzzFeed- a viral news and content site that aggregates an impressive amount of mixed content from around the web- has raised $15 million in a round of Series C funding, poising the site for a wider reach and an even larger mix of posts. We think there’s a really big opportunity to be a definitive social publishing site, that there’s this explosion of Facebook and Twitter and StumbleUpon and Reddit that the industry hasn’t quite yet digested. What that means is we have a good shot at trying to build a giant business that is focused on the social distribution of content. The reason that we raised such a big round was to be aggressive and go after that opportunity. We’ve thought about our site less in terms of the traditional verticals and more about how people react to content. You might react because something’s funny, you might react because it’s cute, because it’s shocking. Now we’re adding the informational layer of different sections on top of it. Our audience tends to be very web-savvy generalists in their 20s and 30s, and they come to BuzzFeed looking for something to react to. BuzzFeed has also hired Politico’s Ben Smith to guide it ahead as it moves forward.